RATHER THAN setting anything approximating a case for the Union before the Scottish electorate in 2014, from start to finish, Better Together developed and stuck to a strategy singularly directed to sowing the seeds of uncertainty. 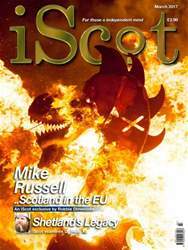 This – the original “Project Fear” – increasingly focused on two crucial aspects of the independence debate; the currency question and that of Scotland’s continued membership of the European Union. Ultimately the issue of what currency a newly independent Scotland would use was bogus, built on nothing more solid than threats from the Westminster establishment that Scotland would be refused the comfort of its own historic currency.